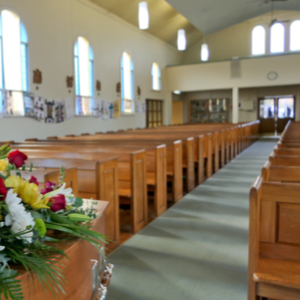 Growing and redefining a business in a market as niche as funeral directing can be somewhat complicated. Luckily, with Halloween around the corner, this time of year makes it a little easier for you funeral directors to introduce your service to potential clients. With a number of Halloween 2018 events and parties currently being planned, this can be a perfect time for local funeral homes to join the haunted house bandwagon. Here are some easy ways Halloween 2018 can be a boon for funeral directors. Let’s face it – funeral homes and Halloween events were made for each other. Although the funeral industry is often misunderstood, reenactments of ghost stories and life’s greatest mysteries make for unique Halloween activities. On nights your funeral parlor does not have a viewing that day, stage a haunted house. Of course, you must always remain extra-sensitive to families that your company has provided service to in the past. This means you can’t use any artifacts from past funerals or make references to specific members your community lost. You never want to intentionally disrespect or offend anyone and risk losing business. Tip: Transparency works best in these situations. It helps to build comfortability and familiarity with clientele. You can easily reenact this scenario in a funeral parlor and instead of the person emerging from a tunnel going into the afterlife, you can have them be in ghost-mode and walk past. Contract a student actor to play the role of a deceased attendee. If you really want to be unique, blend traditions into one ceremony. But why stop there? Take advantage of this opportunity to teach the community that there is more to a funeral parlor than the viewing rooms. If you can, incorporate the embalming room, elevator, and hearse garage into the haunted house. Hire more student actors to “haunt” these locations. Enlist a fellow funeral director to lead the public on tours for the “haunted” funeral parlor. The success of any company lies in the support that it receives from its community. Providing appropriate Halloween activities can help improve your business development and foster relationships with potential clients for years to come. Depending on the type of Halloween 2018 events you decide to have, seek participation from people in your community. Of course, always show the utmost respect for families that have used your services and for the deceased that are in your cemetery. By doing so, you keep the respect of all clients and receive good press, which is something you need to grow your business the correct way. Yes, you read correctly. The Employer’s Quarterly Tax Return, which is used to report employment taxes, must be filed with the IRS by October 31 for the months of July – September. There’s no need to freak out because TaxBandits is here to provide you with a quick and simplified e-filing process that helps you take your time back so you can enjoy Halloween activities and continue growing your business. 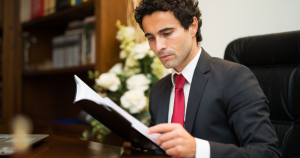 From IRS Form 941 to 1099s and W-2s, we have the required tax forms that local funeral homes need to stay tax compliant. Failure-to-file penalties from the IRS can be a true nightmare. Create a TaxBandits account today to avoid them!